Is a hot climate or a dry climate key for forest fire risk? As smoky, apocalyptic-looking skies spread across western North America, researchers are scrambling to improve their predictions of wildfire risk. A changing climate means not just higher temperatures, but also new patterns of rain and snow, which interact in complex ways to contribute to the risk of fire. A paper in PNAS this week argues that the role of temperature has been exaggerated, while the importance of rainfall has been overlooked. Zachary Holden and a team of collaborators report finding that, out of a range of different factors, longer dry spells were the best predictor of wildfire risks. Other researchers, however, argue that the paper has overlooked previous research and that its results aren’t definitive. Everyone agrees that wildfire risk is set to increase as a result of climate change—but the gritty details are harder to nail down. This research sits in a strange place between the blindingly obvious and the intensely murky. 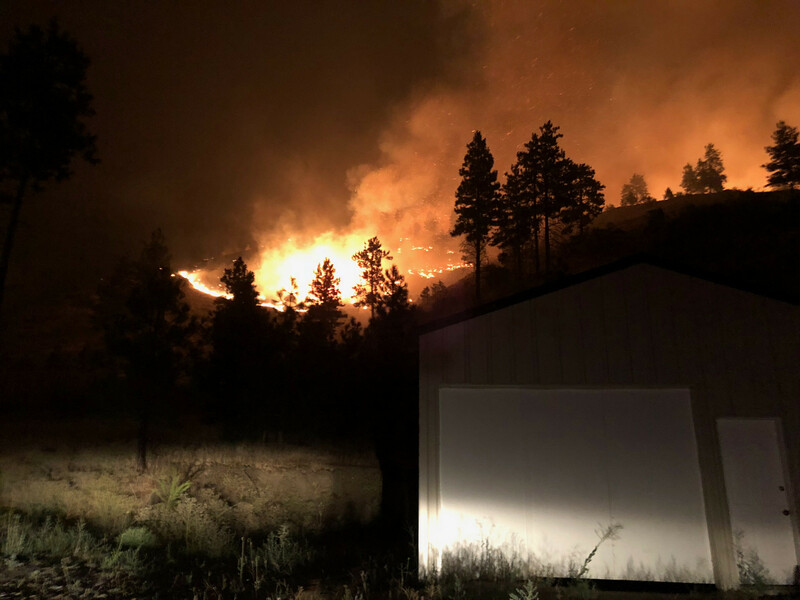 The contributions of rising temperatures to summer wildfire risk are intuitive: less snow, earlier snowmelt, faster evaporation of water from the environment, hotter and drier vegetation. The role of drought in making things hotter and drier is also clear.